The offseason is upon us. Before you focus on the run, take a few weeks to mentally and physically repair your engine. Kayaking on Town Lake, spending time with the family (who were neglected during a long triathlon season), and reading a book will allow you to recharge for the upcoming year. Once you have had enough of family time and sitting around, it’s time to be smart and begin base training. The goal is to NOT become a “National Champion” by January. 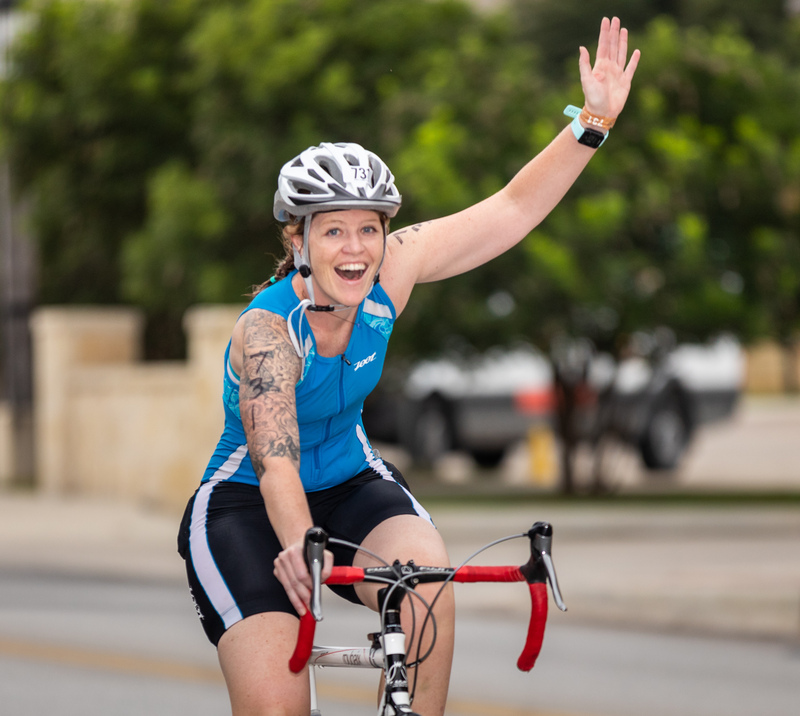 It is hard in Texas, with our beautiful winters, but some self-control will bring you to the end of the 2019 Texas Tri Series injury-free. With no tri burnout. 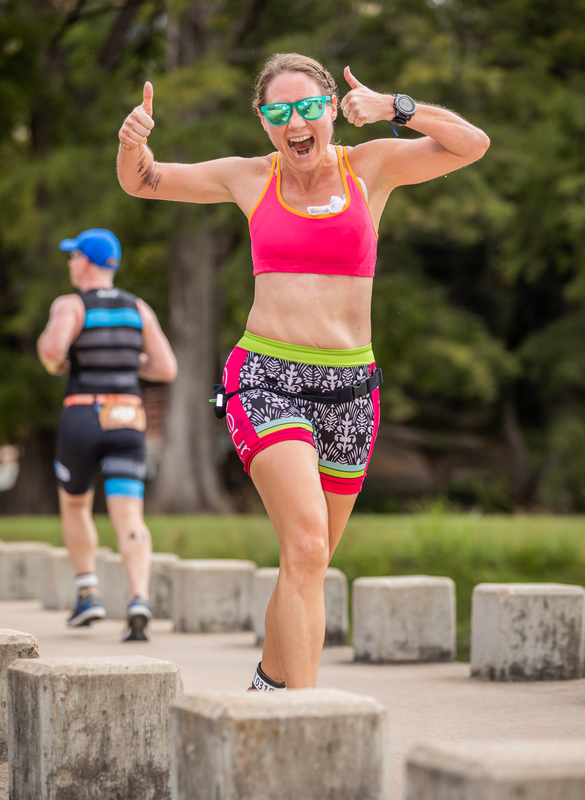 Begin your training by laying out a goal race schedule for 2019 so you know your “plan.” It’s easier to not get lost when you have a map to guide you. Make sure to note the key races (1-2 per season) and add in a few specific training blocks around those events. From here you can begin to lay the running foundation that will help you achieve your goals! Offseason is the time to evaluate any nagging pains or issues that came up during the season. Getting back into the gym to build up your functional strength – not to build up a nice 6-pack. The goal is to strengthen issues like a weak hamstring or stabilize a weaker core. 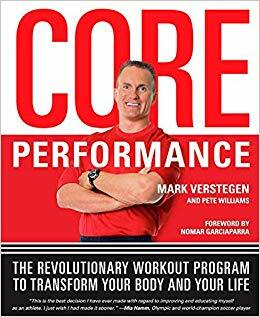 A great book is Mark Verstegen’s Core Performance , which can help you plan out ways to gain flexibility and develop postural balance/strength. These things can give you an edge on the run. Develop a stretching routine and set a recovery protocol for workouts (smoothie, stretching, ice, massage). 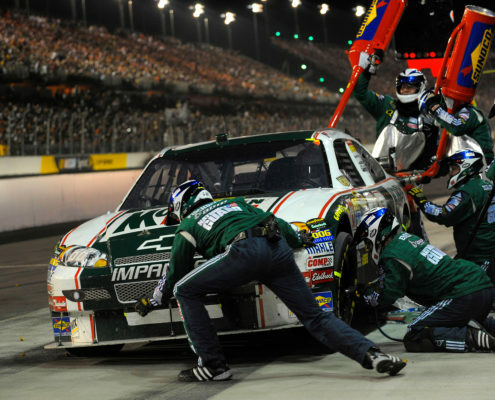 Commit to caring for your body so you can race faster! 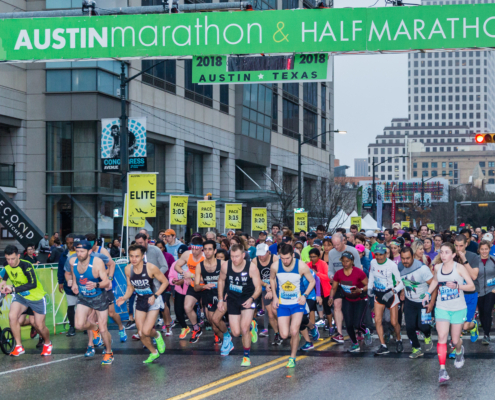 Add a goal race, like the Austin Marathon 5K, when focusing on the run during the offseason. Instead of going for your typical track session during the week, move things around and sign up for a 5K or a 10K. Two great options are the Austin Marathon 5K on Feb. 17th and the Cap10K on April 7th. Utilize this opportunity. This will hold you accountable to getting the quality work in and teach you to run fast. It opens your eyes to how to run and challenges you to develop your running quickly. The key is to be smart and not over race. Your friends won’t remember what you did in February! Another great opportunity is to attack the Greenbelt. Move to the softer surfaces at least once or twice a week if possible. Give your legs a break from the pavement, especially on recovery days. Use these 3 tips to gain an edge during the run and enhance your running this offseason. Enjoy this winter’s journey! The days are getting longer and it is about time for a playlist refresh. We put together 1.5 hours of jammin’ tunes to keep you motivated while you move. Play from start to finish or pick and choose to add to your own playlist. 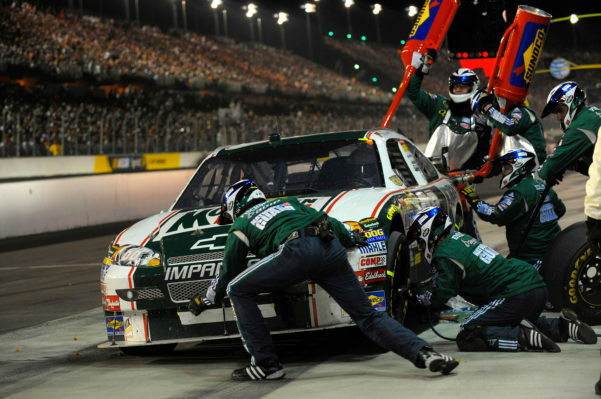 Is your body like a racecar? Maybe you should think of your body as a racecar! 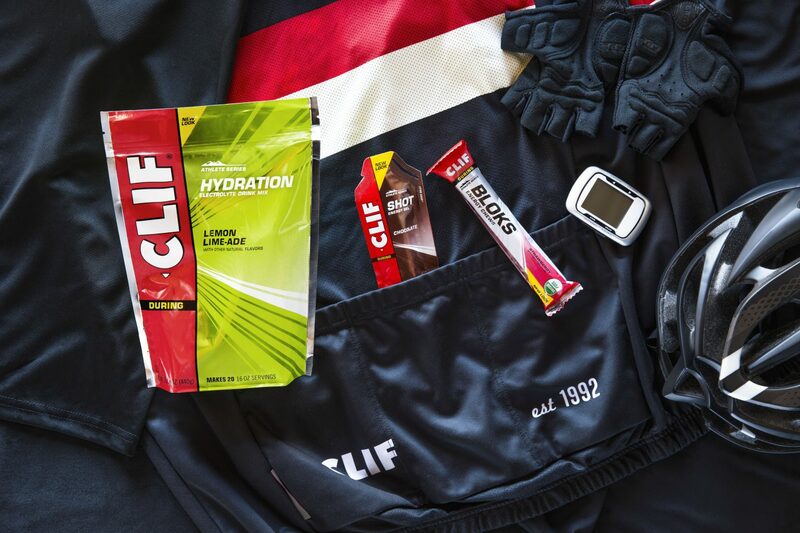 For long-distance racing (swimming, biking, running), nutrition is the key to success. That is assuming you appropriately trained for the race and pace yourself based on your training. The biggest thing we see is the lack of knowledge around calories and the fear of not having enough salt. Cramping, bonking, blowing up, are all things we want to avoid. What causes them? Cramping is caused by overuse and lack of sodium. Cramping in a short-distance event is due to overuse and not the body’s lack of sodium. Cramping in a long-distance event can be due to sodium, but it can also be due to overuse. If it is due to lack of sodium, it will not be in one isolated area, like your calf. You will feel the cramping across the entire body. Once this happens, it is nearly impossible to recover during any mid-distance event. Caused by running out of fuel during a long-distance event. It is almost impossible to truly bonk during a short event (less than one hour). Blowing up is the most common issue that most people confuse with the other two. Blowing up is caused by going too fast. Using your muscles at a level for which you did not train them will cause them to cramp up. If you can average 20 mph at your local TT of 15 miles, this does not mean you can hold this average for the bike of a half or full Ironman. The three things your body needs to perform during a long-distance event are water, calories, and sodium. Everyone’s body processes calories, water, and sodium at different rates. It is not possible to replace everything you burn in terms of calories, but the replacement of water and sodium while you slowly dig a calorie hole is the key to success. Gas is like your calories. Calories are the fuel your body needs to run. Gas is like your calories. This is the fuel your body needs to run. 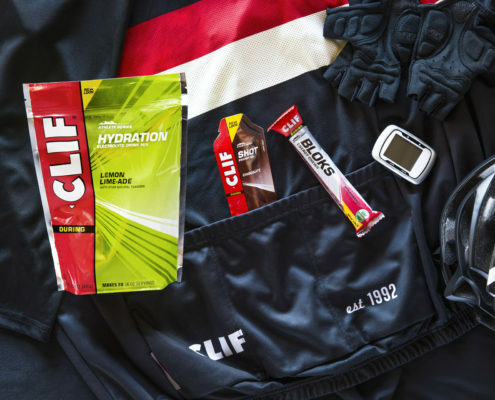 Calories can come in the form of Clif Shot Energy Gels , Clif Bars , Clif Bloks , chews, breakfast, or any other food or liquid that has calories. Watch your sports drinks as they may have calories as well. Oil is like your water. Water lubricates your joints and allows your engine to process and burn fuel. Electricity is like your sodium. Sodium is what your body needs to allow its muscles to fire. You can be low in these different areas, but being empty in these areas is what causes major trouble. The purpose of this analogy is to help people better understand what is going on with your body. Checking on properly identify nutrition issues and better keep your body running like a racecar. 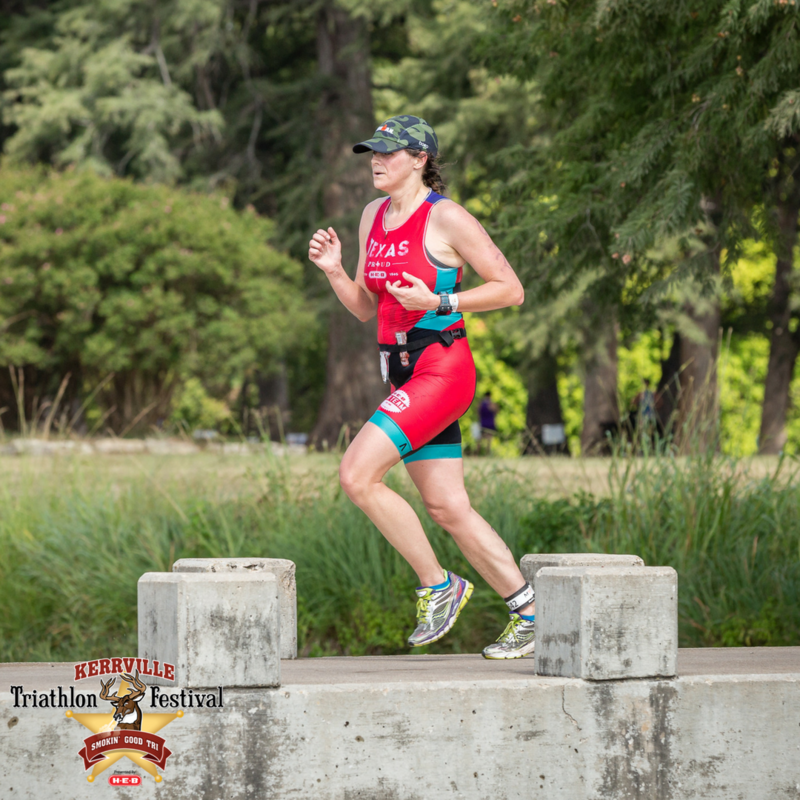 As triathletes, it seems that the inherent beating our legs take while on training runs often leads to some of the most nagging and potentially severe injuries. That dreaded pain on the inside of a shin. The chronically inflamed IT band. A perpetually tight hamstring. The list goes on. Too many times we chalk this up as “part of the process.” What many athletes do not realize is that by applying a few subtle technique changes to running form, common injuries can be eradicated and running speed can be gained. By being quiet while you run you can achieve increased economy of movement; in other words, run softly. 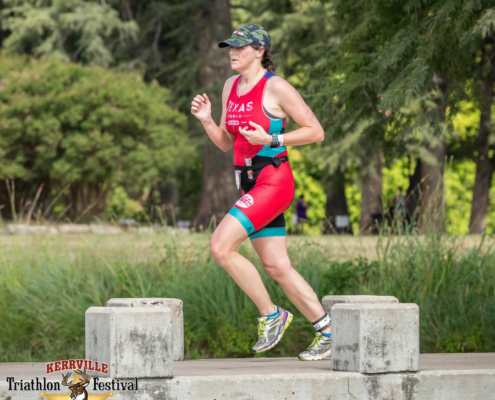 While on your next training run for the Kerrville Tri, leave the iPod at home and prepare to listen while you run softly. Listen to your gait. Is there a heavy sigh from the ground on every foot strike? Do you notice a shuffling sound similar to autumn foliage moving along at the pace of a breeze? If you are picking up on sounds that are more audible than not, you may need to work on your foot strike and run more softly. This means that less impact is transferred from this brief, but violent stop throughout your body. Think of a plane landing gently at an optimal angle. Now think of a plane landing that comes down a little hard and jolts the entire cabin. This is not entirely dissimilar to the jolt your body takes each time your foot lands. When coaches tell athletes to run with light feet, this is precisely what they are referring to. On runs, occasionally think about foot strike and quick transition. As your heel comes in contact with the ground try to roll your foot forward to the mid-foot, then to the ball of your foot, and then to a strong, propulsive toe-off. Work on doing this seamlessly and without interruption. Another important key to this skill is never allowing heel strike to be forward of your knee. Your heel strike should occur directly under your knee and your knee should be directly beneath your center of gravity. Look down while in heel strike to mid-stance of your stride. At that point, you should see no more than the tips of your toes extending from beneath your knee. If you see more than just the tips, then you’re creating a greater ground reaction force and more resistance – increasing your risk for injury.